Lava and Intel together announced the Lava XOLO X900 at Mobile World Congress. Lava XOLO X900 has 1.6 GHz Intel CPU based on the Intel patented Hyper Threading technology with 400 MHz Graphics Clock with dual channel memory for 3D gaming experience, 1GB of RAM, 1.3 MP front camera and 8 MP rear camera with Burst Mode that allow you to capture 10 photos in less than 1 sec. X900 is capable to record & play Full 1080p HD videos in low light conditions. XOLO X900 comes with 4.03-inch high resolution LCD display, HDMI and Dual speakers for best audio quality. You can get HSPA+ download speed up to 21 Mbps. 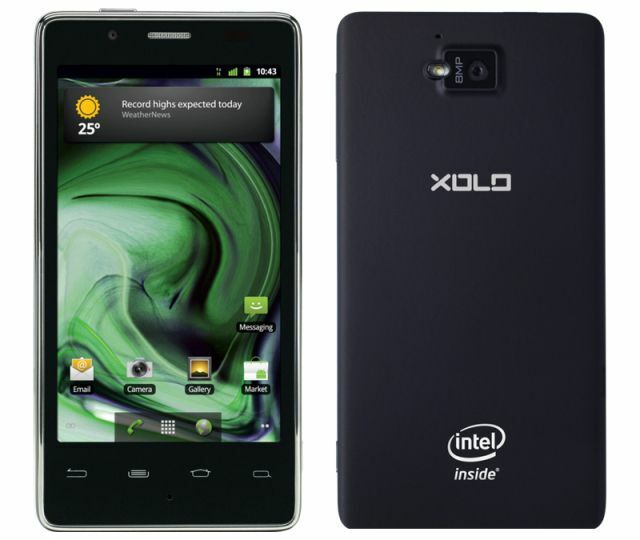 The XOLO X900 powered by Android 2.3 Gingerbread OS and will soon be upgrade to Android 4.0 ICS. The XOLO X900 Android smartphone is expected to hit retail shelves in India early in the second quarter this year and will support all major 2G and 3G networks.